Maiduguri – A recent upsurge in violence in Borno State, north-east Nigeria has caused the mass displacement of 56,770 individuals between 1 December 2018 and 28 January 2019, according to new data prepared by the International Organization for Migration, which is responding with aid distribution and guidance to government partners in helping Nigerians meet this challenge. Recent attacks on Rann, a town near the border with Cameroon on 14 and 27 January have also prompted population movements, however, the exact number of people displaced remains unknown. 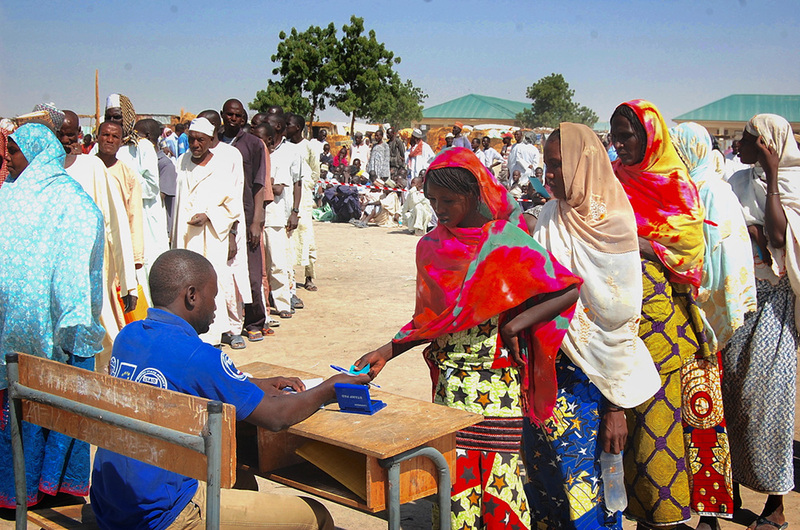 In Maiduguri, Monguno, Konduga and Jere local government areas (LGAs), IOM is organizing focus group discussions with IDPs and host community members to gauge sentiment to a proposed relocation from Teachers Village camp to a newly identified vacant stadium in the city. Since late December, IOM has distributed 957 emergency shelter kits to support 4,306 new arrivals in Maiduguri’s Bakasi camp (300 kits); Gubio camp (300 kits); and Teachers Village camp (357 kits). The kits consist of timbers, tarpaulin, ropes, and other shelter construction tools. More than 1,718 non-food item (NFI) kits have been distributed to 6,930 new arrivals in Teachers Village camp (1,293 kits); Gubio camp (400 kits); and Mogcolis camp (25 kits). Upon the opening of the planned new camp in Mohammed Goni International stadium in Maiduguri, IOM will distribute 400 NFI kits to 400 families. At the stadium camp, IOM has begun the construction of 400 shelters. In addition, IOM is currently building five communal shelters at the reception centre in Monguno, and will be assisting 475 households in Monguno with emergency shelter kits. Mental health and psychosocial support (MHPSS) teams are providing psychological first aid, informal education, psychoeducation for caregivers, support group interventions, recreational activities for children, and sensitization on counter-trafficking and gender-based violence (GBV). These psychosocial activities have reached 11,891 new arrivals in eight camps.